Archive by Category "Delaware Communities"
As fall inches toward winter and thoughts turn toward the holidays, savvy house searchers are browsing the houses for sale in Claymont, DE. 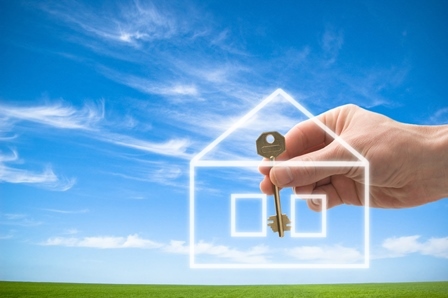 There is a handful of reasons why the end of the year is a great time to buy a home. During the winter holidays, it tends to be more affordable, more convenient, and more practical to buy a home and move into it. Here’s a closer look at why you should set aside some time to hunt for your new home. The end of the year is a buyer’s market. It’s no secret that most people move in the summer. Starting in the spring, the competition among home buyers starts heating up, and this increase in demand drives housing prices upward. This is why financial experts generally agree that it makes more fiscal sense to purchase a house in December, when housing prices typically drop. Less competition for attractive homes for sale in Wilmington. Because there are more buyers hunting for homes, there’s far more competition for the most attractive homes in the summer. Bidding wars are great for sellers, but not good for buyers. If you wait until summer to buy your home, you just might find yourself ensnared in a bidding war. And even if you manage to sidestep bidding wars, it’s still frustrating to deal with the competition in the summer. Other buyers might snap up the house you want right when you’ve made the decision to make an offer. It’s typically easier to book moving companies. Buying a new home and going through closing is only part of the transition in this major life event. You’ll also need to pack everything up and move your household. If you buy a home at the end of the year, you’ll usually find it easy to book a reputable moving company. Since moving companies have less work during the winter, they may lower their rates to entice customers. You can snap up bargains to furnish your home. One of the most fun aspects of buying a house is furnishing it to reflect your personal decorating style. If you’re purchasing a home toward the end of the year, you can take advantage of all of those great sales on home furnishings, décor items, and kitchenware. Additionally, one of the most popular New Year’s resolutions is to get organized. That’s why you’ll typically see organizing systems, baskets, and bins on sale during this time of year. Take advantage of the bargains to organize your new home to fit your family’s lifestyle. You can find year-round special financing deals in Delaware. Even though winter is a fantastic time to buy a house, some builders can be counted on to offer great deals and special financing offers year-round. Montchanin Builders is a trusted company that designs walkable, neighborly communities with beautiful, functional homes. 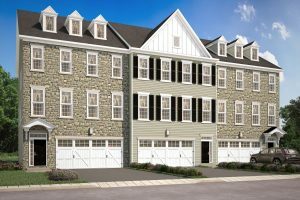 Schedule a tour today to check out our homes for sale in Wilmington, DE. 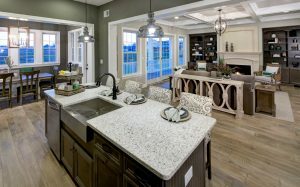 Just one visit to Darley Green, The Overlook at Rockford Falls, or The Town of Whitehall, and you’ll see for yourself why so many home buyers have chosen Montchanin Builders. Call us at 302.472.7212 today, and be sure to ask us about special financing! New Year. New Community. New Home. New Designs! Montchanin Builders in Delaware is ringing in the New Year by introducing new homes and a new community! We’re excited by all of the upcoming projects slated for 2018, including the opening of our brand-new community, The Overlook at Rockford Falls. Homesites are going quickly, so take advantage of this incredible opportunity while it lasts! The Overlook at Rockford Falls community is built by Montchanin Builders, and there’s already plenty of buzz about its beautiful, nature-inspired elements and luxurious townhomes. It’s an exclusive neighborhood, with just 32 homes. When you move here, you’ll fall in love with the nature trails, and easy access to state park land. Plus, it’s within walking distance to many popular attractions around Rockford Park—including the Delaware Art Museum. Choose a homesite that overlooks Brandywine Creek, and the perfect picnic spot will be practically in your backyard. The first two homes are currently under construction, and a decorated model is coming soon! One of the homes you can choose from in Middletown is The Albin at 2004 Apex Close. It’s an impressive and charming bungalow design that features over 2,486 square feet of living space all on one convenient level. The finished lower level adds more than 1,000 square feet of additional living space, where you can walk out directly to your beautifully landscaped, wooded lot. With soaring 10-foot ceilings, four bedrooms, and four full baths, this home is a must see. Relax on a full front porch and back porch from which to enjoy the beautiful Delaware seasons. 2018 is definitely shaping up to be a busy year for us. In addition to opening our new community near Rockford Park, Montchanin Builders is pleased to introduce new home designs! We’re hard at work finalizing the floor plans, features, and pricing. New townhome designs for our highly sought-after Darley Green community will feature three stories, with living spaces ranging from 2,200 square ft. to 2,500 square ft.
Join our VIP list and be the first to learn about the new details as they’re finalized! These beautiful new homes will offer three bedrooms and two and a half bathrooms, plus a spacious two-car garage. You can expect the same premium features that Montchanin Builders is known for—including gourmet kitchens, designer flooring, upgrades appliances, elegant fixtures, and plenty of well-designed storage space. 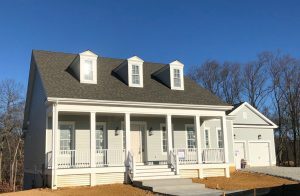 Our new homes sell quickly, so call Montchanin Builders today at 302.472.7212 or fill out the quick contact form on our website. We invite you to take your time touring our communities in Delaware: Darley Green, The Town of Whitehall and The Overlook at Rockford Falls. Once you’ve fallen in love with our luxuriously appointed homes, modern floor plans, and friendly, walkable neighborhoods, ask us about our preferred financing partner, Supreme Lending. As veteran home builders in Delaware, Montchanin Builders understand the value of stand-out amenities in their new home communities in Delaware. Whether it’s a state-of-the-art library, pedestrian-friendly paths to local shops and cafes, or access to award-winning schools, these types of inviting features are what make each development unique. If you are house hunting for Delaware townhomes, here are a few compelling reasons to check out the master-planned communities of Darley Green and The Town of Whitehall. Both were designed with one thing in mind: to create a more enjoyable, more convenient and more family-centric place to live, work and play. Most growing families prefer to reside in an area where their children will have a competitive advantage in education. Located in the heart of Claymont’s Renaissance District, just 10 minutes from downtown Wilmington, Darley Green offers access to some of the region’s best educational offerings, including the prestigious Archmere Academy, a private co-ed college prep school for grades 9-12. Renowned for its rigorous academics and thriving music program, Archmere is just across the street from the beautiful townhomes of Darley Green. There are other excellent schools in the local vicinity, including Wilmington Montessori, Claymont Elementary, Talley Middle School and Brandywine High School, giving parents numerous options for ensuring their children have a first-rate education. When science fair season rolls around, kids and their parents can avail themselves of the well-equipped Claymont Library, just steps from their door. If being in a great school district plays a key role in your home purchase, consider The Town of Whitehall, located in the esteemed Appoquinimink School District. The district is home to Appoquinimink High and Middletown High, which recently garnered accolades as the best schools in Delaware, according to U.S. News & World Report. Also worth mentioning is that homes in good school districts historically hold their value, even in sluggish economies. Moreover, this highly walkable community will soon be home to its very own elementary school, which is slated to be completed in the upcoming year. The communities of Montchanin Builders also feature walking paths, nature trails and easy access to the kinds of amenities that transform a collection of homes into a tightly-knit neighborhood – a place where a stroll down the street will take you to school, to the library or to the playground. Mixed use buildings are incorporated throughout these new home developments, meaning residents can ride their bikes or walk to their neighborhood cafe or favorite shop. Although you won’t find a communal swimming pool or fancy clubhouse in Darley Green or The Town of Whitehall, you also won’t be paying extra fees for their ongoing maintenance. 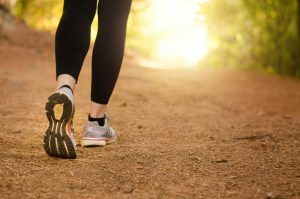 Instead, you will find nearby amenities that encourage a healthy, more active lifestyle. For instance, Darley Green is a short stroll from the beautiful Woodshaven Kruse Park, as well as several swim clubs and baseball fields. Kids will be raring to go outside and play! For an amazing family outing, The Town of Whitehall boasts miles of gorgeous bike trails, with scenic loops along the C&D canal, and a longer path to Lums Pond State Park. 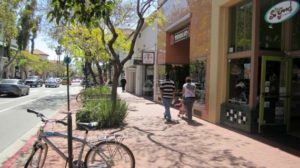 Modeled after some of our nation’s most treasured “old fashioned” neighborhoods, Whitehall boasts communal gathering areas for seasonal events, and has on-site retail establishments and shops, making this an incredibly pedestrian-friendly neighborhood. To learn more about the exciting amenities offered at Montchanin Builders’ new townhomes for sale in Delaware, or to schedule a home tour at Darley Green or The Town of Whitehall, please call our sales office today. We are looking forward to turning your homeownership dreams into reality! Today’s modern family demands something better and no neighborhood breaks the mold quite like Mapleton Village in The Town of Whitehall. Located in peaceful Middletown, Delaware, The Town of Whitehall flawlessly combines modern convenience and amenities with old-fashioned neighborhood pride and fellowship. Mapleton Village is a planned neighborhood offering many amenities all within walking distance. When you come home to The Town of Whitehall, you’ll enter your private cul-de-sac and wave a friendly hello to your neighbors. Perhaps you’ll go around back to take in the breathtaking views of wide open, green spaces or the community pond. On lazy weekends, you could take your family to Mapleton Square—the gathering space for the neighborhood—where you can enjoy informal and planned community gatherings, including concerts and picnics. Stroll through this walkable community with your family to spend some time on the playgrounds, nature trails, or parks. Do a little window shopping the community’s shops and order some delectable dishes at the restaurants in Mapleton Village. All of this and more is at your fingertips when you come home to The Town of Whitehall. 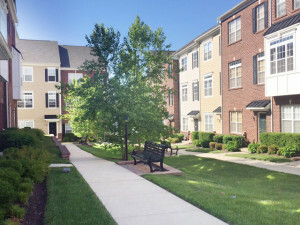 Although Mapleton Village is ensconced within a cozy, tight-knit community that embodies an old-time ambience, it’s just a quick drive away from top destinations in Wilmington and Dover, DE. When the weather turns sunny and clear, take a short, 60-minute drive to fabulous beaches. In the fall of 2018, you can look forward to enrolling your kids in the newly built Whitehall Elementary School, which is conveniently located within The Town of Whitehall. 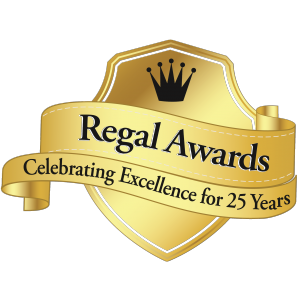 It’s part of the award-winning Appoquinimink School District. Fairview Campus Middle and High School are slated for grand openings in 2020. The homes in Mapleton Village will be sold quickly due to high demand by eager buyers, but this isn’t the only reason to get your foot in the door NOW. Contact Montchanin Builders, veteran home builders in Delaware, to get pre-construction pricing and join The Founder’s Circle. This unique designation for founding homeowners lets your family establish roots in the community for the benefit of future generations. There are so many reasons to join Mapleton Village in The Town of Whitehall, but here’s one more: The Delaware townhomes themselves. Montchanin Builders maintains an enduring commitment to unparalleled craftsmanship and superior building materials. Our distinctive homes embody both luxury and character, and are designed in a flexible way to meet the functional needs of every family—from empty nesters to multi-generational families. With 10′ high ceilings, well-appointed gourmet kitchens, first floor owner’s suites, and so much more, you’ll fall in love with your new home as soon as you cross the threshold. Houses in Mapleton Village and throughout The Town of Whitehall are being snatched up quickly by eager buyers. If you’d like to raise your family in a close-knit community with all the wide open spaces you could want, you’ll need to act quickly. Connect with us through our website or by calling today. If you’re ready to achieve the American Dream of homeownership, then you should know about must-see homes for sale in Delaware communities. The Town of Whitehall in Middletown, Delaware is the perfect marriage of modern convenience and charm. Nestled on the south banks of the Chesapeake and Delaware Canal, Whitehall is a walkable, family-friendly community with single family and custom-built homes —all within the award-winning Appoquinimink School District. Another popular and affordable choice is Darley Green in North Wilmington, Delaware, which redefines the concept of a neighborly community. Here, you’ll find masterfully integrated gathering places, wide open spaces, impeccable landscaping, and of course, towns, twins and condominiums for sale in Delaware. The Town of Whitehall and Darley Green are both inspirations by Montchanin Builders—a home builder unlike any other. Here at Montchanin Builders, we have an enduring commitment to quality craftsmanship in all that we do. Families who buy our homes for sale in Delaware do so because of our open concept floor plans, and unique features that add character to every home we build. Spacious owner’s suites, upstairs activity rooms, sweeping covered porches, flex rooms, gourmet kitchens, are just a few of our exclusive features. When you choose Montchanin Builders, we’ll walk you through your personal design choices to ensure your new home is exactly the way you want it. Our design experts are dedicated to bringing you the best in functionality and design. But as innovative and inspiring as our home designs are, they’re only part of why so many homeowners are proud to call our communities their home. We don’t just build homes; we develop close-knit, friendly neighborhoods. Our walkable neighborhoods feature nature trails, parks, and playgrounds. Take a stroll down to a neighborhood eatery or enjoy a little people-watching at the neighborhood coffee shop. If you think all this sounds too good to be true, we’re just getting started. For a limited time, you can get $15,000 toward your new Darley Green home*. Montchanin Builders has also partnered with one of the most respected mortgage originators in the country—Supreme Lending. Our partner has an unparalleled reputation for customer satisfaction, not to mention the very affordable interest rates and mortgage programs available. At Montchanin Builders, it’s important to us that you have all the information you need to make a smart decision for your family. We cordially invite you to tour our beautiful communities of Darley Green, and The Town of Whitehall. Pore over our premier floor plans, explore our custom options, and have a chat with our financing expert from Supreme Lending. Call today and experience the Montchanin Builders difference for yourself.